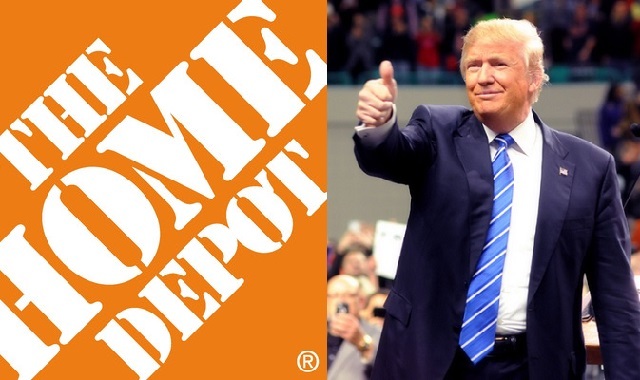 Home Depot employees will receive bonuses of up to $1,000 each because of savings the company will realize under U.S. President Donald Trump's tax plan. "We are pleased to be able to provide this additional reward to our associates for continuing to deliver outstanding customer service," said Craig Menear, Chairman, CEO and President. "This incremental investment in our associates was made possible by the new tax reform bill." The retail home improvement giant also announced that it currently estimates that the impact of the Tax Cuts and Jobs Act of 2017 will result in additional net tax expense of approximately $150 million in the fourth quarter of fiscal 2017 primarily related to taxes on unremitted offshore earnings. This charge, coupled with the one-time bonus payment to employees, is expected to negatively impact Home Depot's previously provided fiscal 2017 diluted earnings-per-share guidance by approximately $0.19.